It is always important to know about English basics. One of the most important topics is linking words. 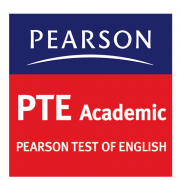 English exams like PTE (Pearson Test of English) & IELTS, these words will play a vital role. It is essential to understand how linking words can be used to combine ideas in writing. And thus ensure that ideas with sentences and paragraphs are elegantly connected. 100 percent sure, this will help us to improve our writing skills like Summarize written text, Retell lecture, Summarize spoken text, & essay. But there are more than 200 linking words, it is very difficult to remember them. Don’t worry guys, I have segregated them into simple types. There are 2 categories of linking words: Conjunctions and Transition words. Words which connect words, phrases, clauses, or sentences are known as Conjunctions. There are three major types of Conjunctions: Coordinating conjunctions, sub-coordinating conjunctions, correlative conjunctions. Comes usually in the middle of a sentence, and a comma is used before the conjunction. They join individual words, phrases, and independent clauses. There are seven coordinating conjunctions. FANBOYS – For And Nor But Or Yet So. Which introduces a dependent clause and placed at the front of the clause and a comma is needed at the end. Condition: if, only if, unless, until, provided that, assuming that, even if, in case, lest. Comparison: than, rather than, whether, as much as, whereas. Time: after, as long as, as soon as, before, by the time, now that, by the time, once, since, till, until, when, whenever, while. Reason: because, since, so that, in order, why. Adjective: that, what, whatever, which, whichever. Pronoun: who, whoever, whom, whomever, whose. Manner: how, as though, as if. Used in pairs and denote equality and show the relationship between ideas expressed in different parts of a sentence. as – as, just – so, both – and, hardly – when, scarcely – when, either – or, neither – nor, if – then, not – but, what with -, and, whether – or, not only – but, also, no sooner -, than, rather – than. Used as a linking device between ideas. Similar to But: however, nevertheless, nonetheless, still, conversely, instead, otherwise, rather. Similar to So: accordingly, consequently, hence, meanwhile, then, therefore, thus. Transitions help to build up coherent relationships within the text. in the first place, not only – but also, as a matter of fact, in like manner, in addition, coupled with, in the same fashion / way, first, second, third, in the light of, not to mention, to say nothing of, equally important, by the same token, again, to, and, also, then, equally, identically, uniquely, like, as, too, moreover, as well as, together with, of course, likewise, comparatively, correspondingly, similarly, furthermore, additionally. although this may be true, in contrast, different from, of course -, but, on the other hand, on the contrary, at the same time, in spite of, even so / though, be that as it may, then again, above all, in reality, after all, but, (and) still, unlike, or, (and) yet, while, albeit, besides, as much as, even though, although, instead, whereas, despite, conversely, otherwise, however, rather, nevertheless, nonetheless, regardless, notwithstanding. in the event that, granted (that), as / so long as, on (the) condition (that), for the purpose of, with this intention, with this in mind, in the hope that, to the end that, for fear that, in order to, seeing / being that, in view of, If, then, unless, when, whenever, while, because of, as, since, while, lest, in case, provided, that, given that, only / even if, so that, so as to, owing to, inasmuch as, due to. in other words, to put it differently, for one thing, as an illustration, in this case, for this reason, to put it another way, that is to say, with attention to, by all means, important to realize, another key point, first thing to remember, most compelling evidence, must be remembered, point often overlooked, to point out, on the positive side, on the negative side, with this in mind, notably, including, like, to be sure, namely, chiefly, truly, indeed, certainly, surely, markedly, such as, especially, explicitly, specifically, expressly, surprisingly, frequently, significantly, particularly, in fact, in general, in particular, in detail, for example, for instance, to demonstrate, to emphasize, to repeat, to clarify, to explain, to enumerate. as a result, under those circumstances, in that case, for this reason, in effect, for, thus, because of, then, hence, consequently, therefore, thereupon, forthwith, accordingly, henceforth. after all, in fact, in summary, in conclusion, in short, in brief, in essence, to summarize, on balance, altogether, overall, ordinarily, usually, by and large, to sum up, on the whole, in any event, in either case, all in all, Obviously, Ultimately, Definitely. at the present time, from time to time, sooner or later, at the same time, up to the present time, to begin with, in due time, as soon as, as long as, in the meantime, in a moment, without delay, in the first place, all of a sudden, at this instant, first, second, immediately, quickly, finally, after, later, last, until, till, since, then, before, hence, since, when, once, about, next, now, formerly, suddenly, shortly, henceforth, whenever, eventually, meanwhile, further, during, in time, prior to, forthwith, straight away, by the time, whenever, until now, now that, instantly, presently, occasionally. in the middle, to the left/right, in front of, on this side, in the distance, here and there, in the foreground, in the background, in the center of, adjacent to, opposite to, here, there, next, where, from, over, near, above, below, down, up, under, further, beyond, nearby, wherever, around, between, before, alongside, amid, among, beneath, beside, behind, across.